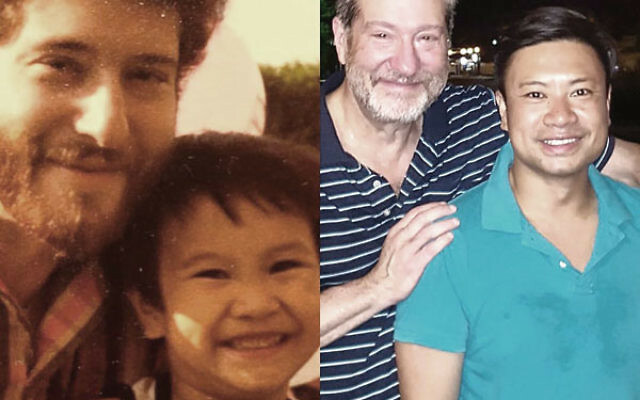 Left, the author, with the youngest child ofthe family of Vietnamese refugees circa 1980;right, the author and the same boy, nowgrown, taken in Hoi An, Vietnam, just days after his wedding. Late last month, the United States admitted the 10,000th refugee from the charnel house known as Syria. The New York Times published an article showing where the refugees had been placed, using different-sized circles to illustrate relative numbers. I was pleasantly surprised to see Elizabeth with a circle roughly equivalent to those for New York City, Philadelphia, and Baltimore. As Jews, with our tradition of welcoming the stranger and our history of fleeing from persecution, we should be at the forefront of encouraging a generous asylum policy and directly participating in efforts to integrate these refugees into our communities. Fears that the Islamic State or other radical groups might try to funnel terrorists through the United States refugee resettlement program are understandable given events of this past year in Paris and elsewhere, and it has become a major point of contention during the presidential campaign. However, it is important to recognize that the vetting program in the United States is extraordinarily stringent, lasting from 18 to 24 months and involving a multilayered vetting process by the FBI, Department of Homeland Security, State Department, and the National Counterterrorism Center. Moreover, Syrians seeking admission to the United States as refugees undergo an additional investigation not utilized for refugees coming from other countries. I know firsthand the emotional rewards associated with directly helping refugees. In the late 1970s, many Vietnamese “boat people” were arriving in American cities. As the then assistant director of the American Jewish Committee’s Philadelphia Chapter, I instituted a program linking our agency’s members with refugee families in order to help them make the transition to their new home. I took responsibility for a family consisting of a father and four young children ranging in age from three to nine. They lived on subsistence resources in a rough, crime-ridden neighborhood. The father struggled to communicate in English, while the children, as to be expected, were more successful in learning the new language. For a number of years I devoted much of my time to helping this family, from guiding the father through the bureaucratic refugee resettlement maze, to taking them to parks and sporting events. The youngest child had severe asthma, and I frequently found myself in hospital emergency rooms in the middle of the night comforting his father. As time passed we gradually drifted apart, in large measure because, thankfully, they no longer required my involvement. I often thought about the family and wondered what had become of them. Then last year I Googled the father and was sad to discover an obituary from 2014. I reached out to the children with the help of the funeral home and discovered that they all still lived in Philadelphia, were university educated and successful professionals, and had started families of their own. When we met last Thanksgiving for the first time in over 30 years, they gave my family and me an overwhelmingly warm reception, stressing how vital my help had been in those early years. 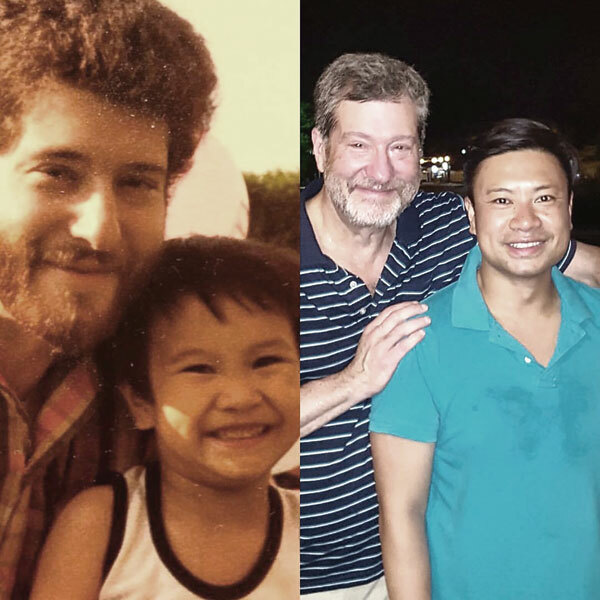 Coincidentally, they informed me, all four of them were going back together to Vietnam for the first time ever to celebrate the wedding of that little boy with asthma, now 39 years old and a newly minted doctor of pharmacy. Visiting Vietnam was not on my bucket list. In fact, the dread of being drafted into a war I vigorously opposed as a young adult in the late 1960s has left its imprint on me to this very day. But given the almost mystical timing of our reunion, I sensed that I really needed to attend this wedding on the other side of the world. So last July my family and I traveled to Bien Hoa near Saigon for a Vietnamese wedding reception attended by some 500 guests. Earlier that day, there was a traditional tea ceremony at the home of the bride’s family in which members of both families were invited to give toasts. Toward the end, they unexpectedly turned to me and asked whether I wanted to say something. Choking back tears, and sensing the spirit of their late father in the room, I described how challenging those early years were for the groom and his siblings, and how proud I was of the fine adults they had become. Canada, with a population of some 36 million, has taken in over 30,000 Syrian refugees. In contrast, the United States, with over 320 million people, has taken in only a third of that number. A number of Jewish organizations, especially HIAS, have expressed support for expanding our refugee resettlement program. But we can do much better. This should be one of our community’s major advocacy priorities.